Nikola Tesla (1856-1943) invented the AC (alternating current) system and the radio. His ‘world system’ anticipated our modern global network, like the Internet. Tesla’s life is like a thriller about science, money and power – he’s a character of worldwide significance to be rediscovered. 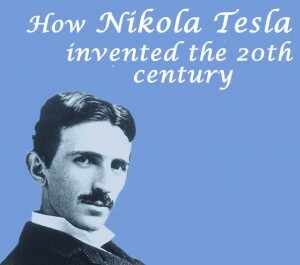 The presentation is based on the book “How Nikola Tesla Invented the 20th Century”. The biography tells the story of Tesla’s life and analyses his impact on the development of our modern world. Tesla’s significance is derived from well-researched facts, without speculative or conspiracy theories. His story is told as a fascinating mix of ingenious inventiveness and narcissistic hubris against the background of the birth of modernity. Myths and facts are separated to paint the picture of Nikola Tesla as the intellectual founding father of our modern world.